The MerkelGEAR Palaearctis Expedition WNTR Parka is a superior winter jacket for the coldest months of the year and extreme Nordic hunts. Worth mentioning is the very fair price/performance ratio of the 3.5-layer construction. For the production of this garment only branded materials are used. Completely windproof and waterproof thanks to the Cocona 37.5® brand membrane (20,000mm / 20,000g/m²) and lined with the best artificial down that we think the market currently has to offer. The 120g/m² G-Loft® from the Austrian manufacturer Goldeck Textil keeps you warm and dry during the coldest months of the year! The storm-resistant, multi-adjustable hood of the jacket is allows the wearer a 180C° view and the faux fur is a real eye-catcher. 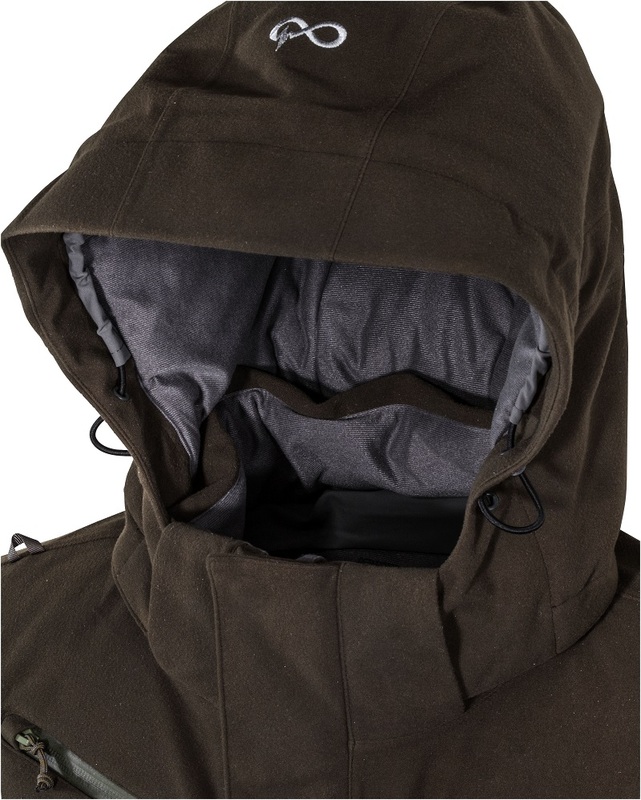 The front of the hood is stiffened to keep rain and snow away from the wearer’s face. High-closing, softly padded collar. 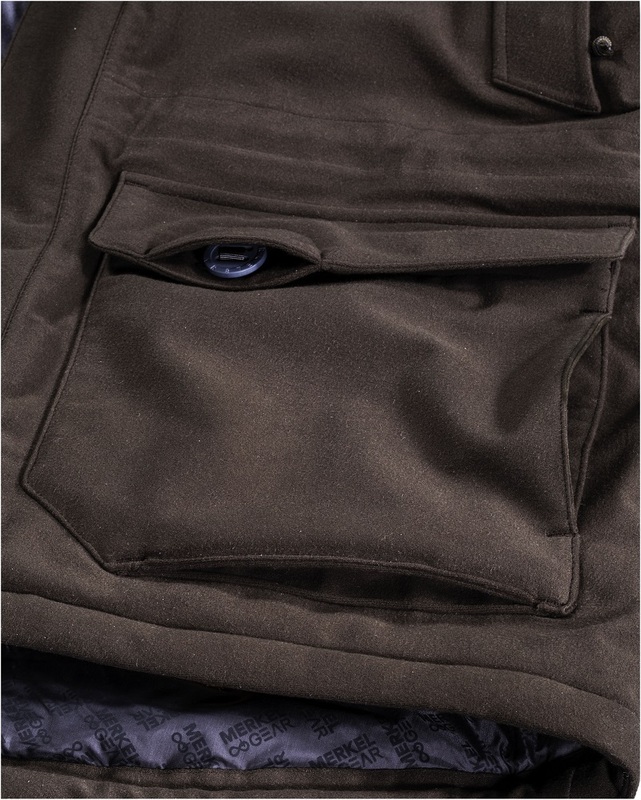 2 extra-large, softly padded Napoleon pockets hidden by wide flaps and worked with YKK-zips of stable size #5. 2 large flap pockets that fasten with large loop buttons – intended for use with the MerkelGEAR cartridge system. Thanks to the large buttons, the pockets are even easy to open when you have cold fingers. 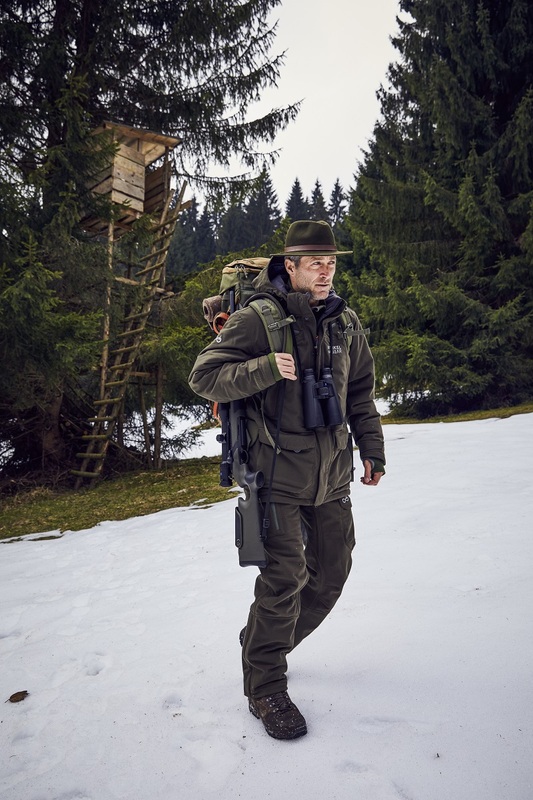 1 MerkelGEAR cartridge system is included with each jacket (and matching trousers). The 2 side pockets are lined with soft microfleece. The jacket fastens with a #8 size 2-way zip with matte-coloured metal parts and orange blaze coloured slider concealed by a wide, buttoned storm-resistant flap. 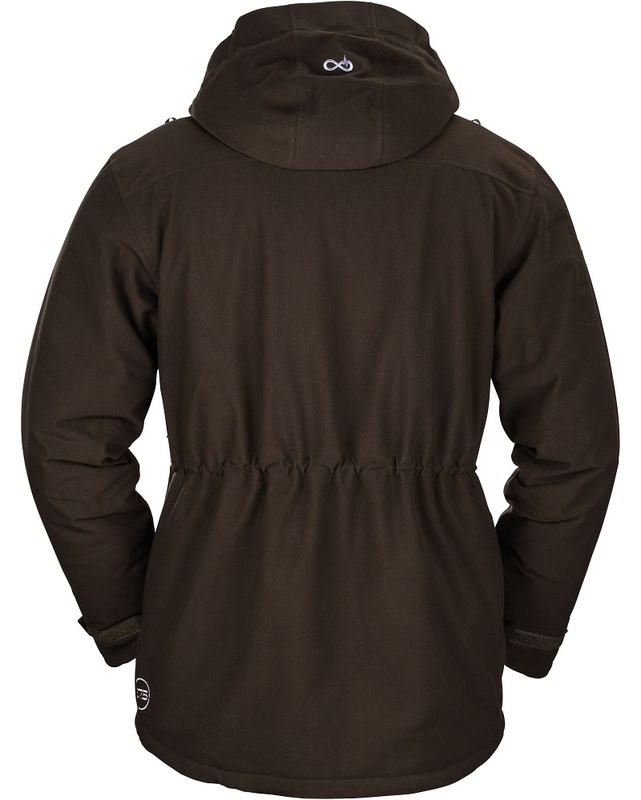 Extra strong elastic in the hood, waist and hem serve to adjust the width. Adjustable cuffs with internal, knitted storm cuffs to withstand the cold. The preformed sleeves feature a smooth textile lining. Two very large side pockets on the inside, which close by silent zips, and two mesh inside pockets for heat pads at kidney level. 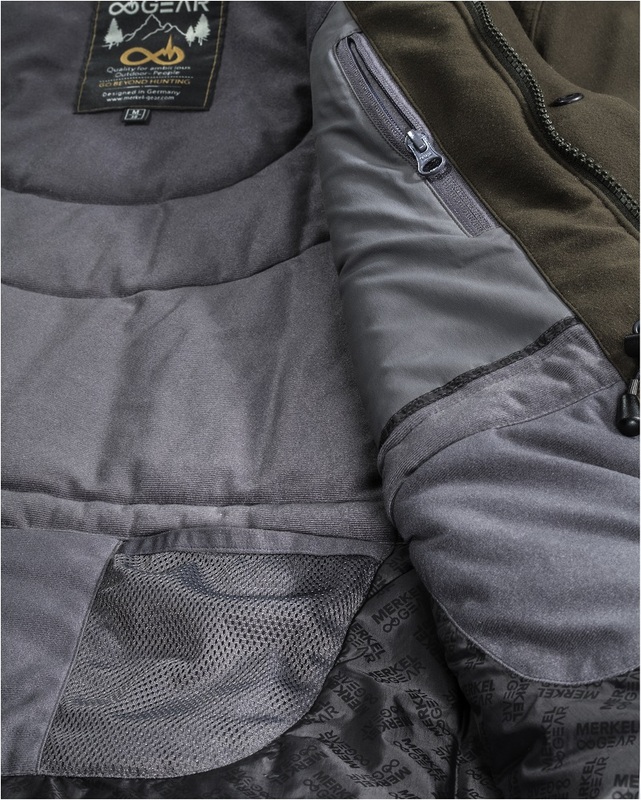 The outer fabric of the parka, which is equipped with 37.5® particles is made of low-noise, brushed micro jersey. Inside the jacket, as well as inside the hood, this material ensures a pleasant feeling on the skin. The rest of the interior is made of smooth taffeta, which is adorned with subtle MerkelGEAR ornamentation.